Experience Southern Italy’s Murgia region with this all-day excursion to two of its prettiest towns. After a convenient hotel pickup, travel to the UNESCO-designated town of Grottaglie in a comfortable minivan with a private driver. 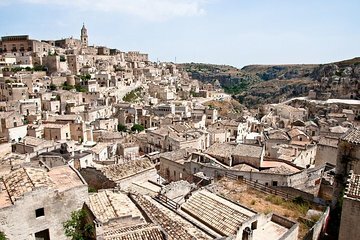 Admire its ceramics and explore its historic center before heading to Matera, a mountainside city famous for cave dwellings that humans have called home since the Paleolithic period.